This plot shows the present or proposed STL (Microwave) path over terrain. It clearly will show what height the antennas must be placed on both ends to clear the terrain as well as fresnel zone. 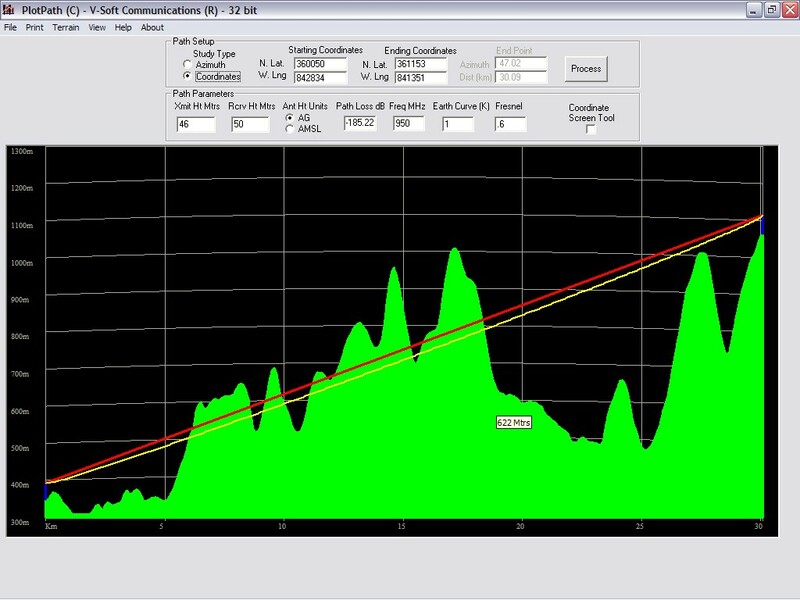 Radio horizon studies are a must in planning new or trouble shooting present systems.